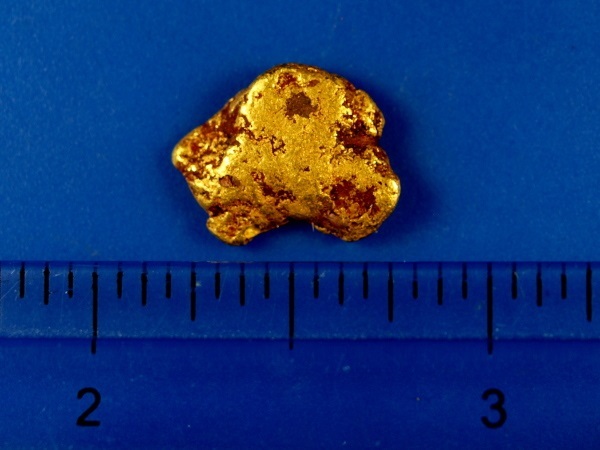 Here is a beautiful gold nugget from Fairbanks, Alaska. It has some interesting red iron-rich matrix down in the grooves which give it a very unique appearance. 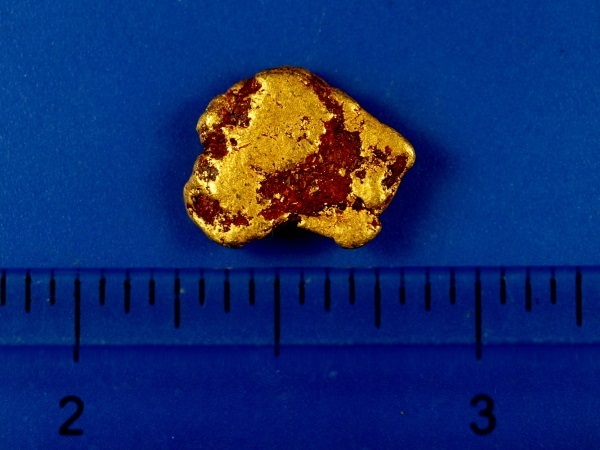 This piece weighs 3.62 grams.